The love these two share is by far the most amazing thing about this session. However, I was completely spoiled me with a few cherries on top! First off! They found this amazing location! Jordan did the scouting for us and while it was definitely off the beaten path it was such a treat to ride with them in their truck and hear about their story. If you look carefully you can see THREE mountains all from this one spot! To then arrive at this epic location was like nothing else! There is something about a new location that I know nothing about that brings out my creativity like nothing else. And as we stood on top of what felt like a mountain I looked around in complete awe that this was the weather we were getting in JANUARY!! I didn’t even know it was possible to get such amazing weather in the first month of the year! I had been enjoying the slower season, but getting out and capturing these photos fired back up my passion and excitement as I capture these photos! 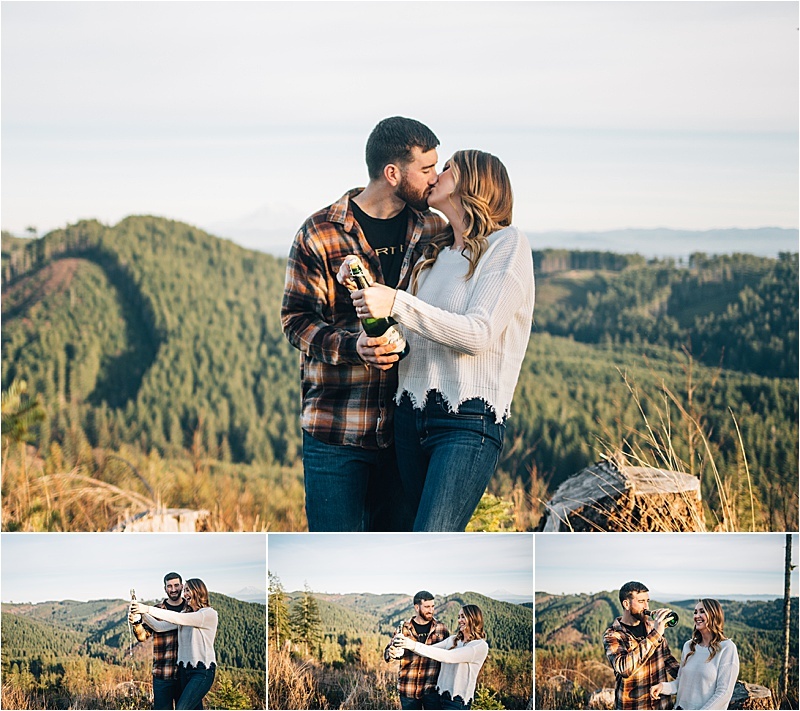 On top of all that, Kristin was sure to bring some special touches like champagne and a few beers so we could be sure to get some shots of just them being themselves! And I think it’s safe to say we accomplished exactly that! We had so much fun and could have easily hung out with them for hours longer! 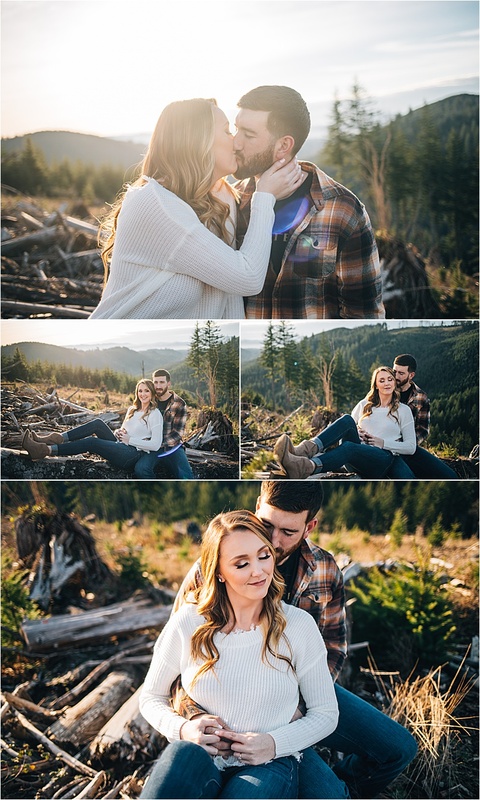 Knowing we’ll get to spend the day together on their wedding has me so excited for summer to get here so we can create more amazing shots together!